You can find Nat here and here on Ravelry. I pull inspiration from nature, the natural rhythms of life, my heritage (as a Scottish / Polish second generation Canadian), from folklore, myths, magic, and from the unceded K’omoks First Nation territory that I live on with my family. I love learning new techniques and combinations so whatever I am currently playing with is usually ‘my favourite’. 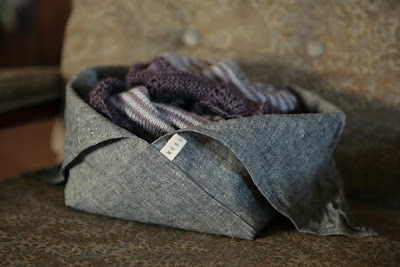 I really love playing with texture stitches right now as well as exploring old classic stitches made into modern garments. I love looking at other people’s designs and am inspired daily by what other creative people are up to. I am sure I am influenced by other’s designs in a variety of ways, whether I notice an interesting colour combination or combination of stitches. I think it’s fine to find inspiration in other people’s work. That doesn’t mean that I copy them or have no original ideas, but sometimes I will take note of a small detail in one garment, play around with it in my head and turn it into my own. I think fibre arts and design is inherently built upon learning and observing other people’s designs and letting it grow and evolve into something else. There are very few stitches or colour combinations that haven’t been explored but how you put them together or make them your own can be completely unique. I have a core group of test knitters that operate out of my private Facebook group. Not all of them test for me all the time but I usually have at least a few of the same test knitters return for each new test knit. I typically have about ten test knitters for each pattern, give or take and I also have one tech editor. I think having others assess and try your design is key to a successful pattern. I adore my core group of testers and tech editor, Wolf & Faun patterns would not be what they are without them. Yes and No. I have nothing written out on paper outlining what I am doing but I do make all my decisions mindfully about what my end goals are and if what I’m doing aligns with my core values and long term success of my business. I took 6 months to launch wolfandfaun.com and there was a lot of planning and research that went into the business end of things before I was ready to share it. No but I have a community of other designers and business women that I collaborate with, bounce ideas off and ask questions. Some of them are online and some of them are in my hometown. There is no way I’d be successful and achieve what I have thus far without a lot of community support. No but I do try to emulate and move in the direction of my core values and beliefs as well as emulate the philosophy that having a clear and defined brand is important to success. Things like, encouraging nature reverence, slow fashion, social justice and feminism are all a part of who I am and I try to create products and create space for people to think about and have discussions around these things. I have had a crazy few years and I am not sure if I would say that it’s been balanced but what I try to always come to is acknowledging that I need to be happy and enjoy what I do in order to do my best work. Thus, I only work on projects and products I am excited about or find value in. I decline opportunities I am not excited about or feel stressed about completing. I am a one woman business and I make boundaries with my audience and customers around when I am and am not available for customer support or social media. I don’t expect myself to respond to every email right away and I don’t expect myself to post on social media regularly. I try to make sure that I keep my work to when my kids are napping or in pre-school so that they get my time when they are around. I have tried hard to keep my weekends free of business related activities. I regularly check in to make sure what I am doing is fun and interesting and gives me something in return for what I am putting into it, whether that be income to support my family, creative expression, satisfying relationships or learning opportunities. I explore the source of it and ask what they are really trying to communicate to me. If it’s a genuine issue with a product, I focus on that. I recognize I am not infallible and that I can make mistakes, which are important to learn from, there are always rooms for improvement. 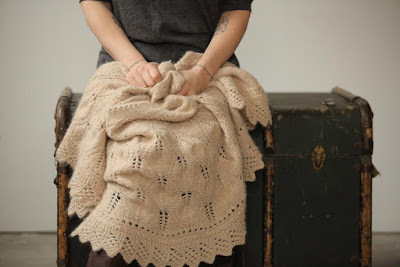 Often when it’s an issue around pattern support I recognize that it’s often a frustrated knitter who needs help navigating a new technique and being helpful instead of offended often leads to both parties being satisfied. Sometimes my testers are frustrated. I used a particular technique and they suggest easier routes to complete the pattern and I listen, especially if it’s the majority of testers that feel that way. Most of the time when someone offers critique it is an opportunity to learn and grow. I haven’t really experienced any mal-intentional attacks or critiques but if they were to happen I know that there are enough people to believe in me and love what I’m doing to not let one person get to me. You can’t please everyone. 1. Be willing to invest in yourself and don't try to do it all. Often starting a business we think we will do most of it ourselves now and when we get to a certain point or grow enough we will bring in help or professionals. Unless you have a graphic arts background, hire someone to make your logo. Unless you really want to build a website, ask for help or hire someone to make one. You have to believe your product or service is worth it and worth investing in before anyone else will, so invest in it and invest in yourself. Your time is probably limited as it is, figure out ways to save yourself time and energy so more of that time and energy can go into creating your actual products, designs and services that only you can offer. 2. Give yourself time but start now, don’t wait. It’s OK if it’s just a hobby at first, if it only brings in a little bit of money at first, or if no one seems interested right out the gate. In this world of social media, you need to give people time to know who you are before people know what you have to offer. It took me 6+ months to go from concept to opening my online shop, and years of knitting and designing as a hobby before I built up a big enough base for my pattern releases to be a viable income. If I had been hard on myself and decided I couldn't do it all in a month or two so why do it at all, I would not have my business. Sometimes it takes me 6+ months to release a pattern. That's OK. It's OK to take a long time. I have two very young children at home, a part time job as a special ed teacher and I am in long-term recovery from two auto accidents. Life is busy and crazy and unpredictable. Don't wait for life to be normal or easy, but rather just give yourself permission to go at your own pace and take all the time you need but more importantly, start! Don’t wait or put it off. 3. Reach out and find community to support you. Don't try to do this alone. 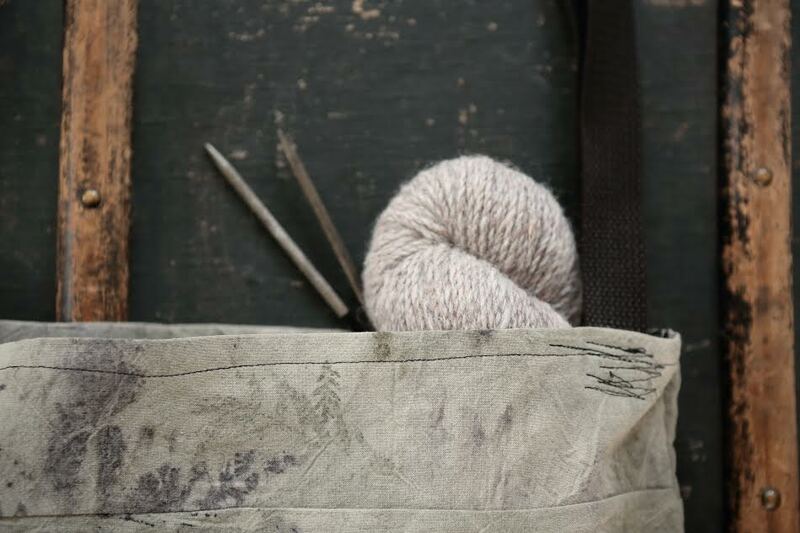 Facebook, Instagram, Ravelry and locally there are many communities and groups aimed at supporting and collaborating with one another in both the fibre arts industry and as a work at home mom. Don't be afraid to ask questions or reach out to people for advice. This community is very helpful and supportive to each other. 4. Don't hide who you are. Be authentic. When I first started putting myself out there as a knit designer, I constantly kept my personal life and my business separate. I hid who I was and created a rather flat online persona for fear of offending or turning anyone off. It was exhausting and my brand was boring. Eventually I got tired of hiding who I was and started sharing my authentic self with the world. Not only did I attract an audience that really loves who I am and supports me, but my creativity and enthusiasm has increased. Sure the odd person is turned off by me but they were never my audience or client base to begin with, and for every one person turned off by me, 10 more love what I do. I have a few collaborations lined up with some yarn companies I’m really excited about and can’t wait to get started on! Also I am in the process of designing a Wolf & Faun project bag and a few other exciting Wolf & Faun products that I think will be unique and interesting contributions to the fibre arts world. Lots of exciting stuff on the go!